2009 Emergency Appeal - What your donations did. "The political climate and the severe floods that struck Fiji at the beginning of year 2009 caused many hardships to many of our communities. We are thankful to the prayers and the monetary assistance from the NZ Anglican Missions Board and the UK Mother’s Union that enabled the affected communities to recuperate, readjust and recover to normalcy. 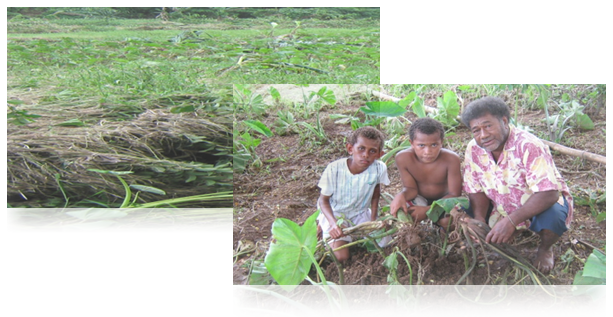 The Viti Levu West Episcopal Unit was the worst affected by the flood. Funds from the Overseas Relief and Aid Fund from the Archbishop of Sydney was provided to Bishop Sharma to help in the relief work. Assistance in the way of food, school needs, housing materials were provided. Mostly to the other communities especially the non-Christians. Your continuous prayers and funding support in time of distress and needs will always be appreciated." 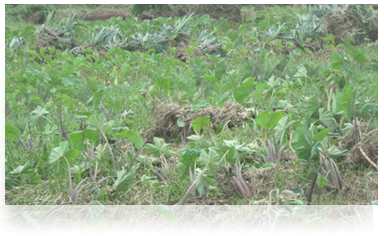 The community depends mostly on subsistence farming for their livelihood. Their food crops were damaged by the flood waters. The timely distribution of food ration (flour, rice, cooking oil etc) brought relief to the parishioners. The Naviavia community was completely cut off from communication and traveling to the Episcopal Unit Headquarters for a week. The members depend mostly on root crops and vegetables for their food. It was completely damaged by the flood waters. The assistance provided was used to purchase cooking oil, flour, rice, sugar. The hall was also damaged by flood waters. The assistance was to provide food for 2-3 weeks while they replanted their crops, and to make repairs on their hall. The distribution of food ration to the 36 households brought relief and smile to the faces of the community members in Nabunikadamu. The timely assistance to the Institution of stationary and school furniture enabled the school children to return to school and be able to use their classrooms again. Sigatoka Town was badly affected by flood waters. The metre deep water flooded the Church and the vicarage. The financial assistance was able to pay for the repairs and maintenance to the damages that the flood water had done to the floor of the vicarage.